The Adventure Starts Here: Ready for a Party??? | Halloween Costumes X 3!!! With Halloween being on Monday, this weekend is going to be full of parades, parties, and trick (and trunk) or treating! 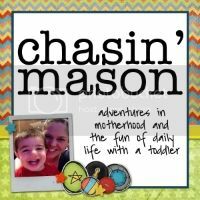 We have so many events through school, our MOMS Club, and the town, giving Noah lots of opportunities to dress up. While not necessary, we used this an excuse for Noah to get multiple costumes, 3 in fact. It started out innocently enough. I had him scroll through the Party City website and pick out his favorite costume. He chose Hulk and was really dead set on it for a while. But then one day at Costco, he saw a Superman Costume and wanted that as well. I figured what was the harm in 2 costumes since he had so many Halloween events to go to. 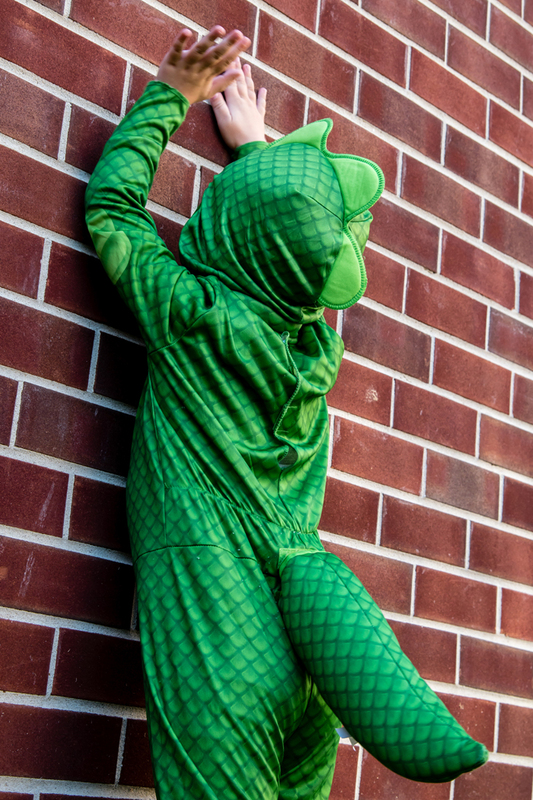 But then my mom found the Gekko costume that we had been looking all over for and we just had to have it! Noah still loved his other costumes and told me that he wanted to wear a different costume to each event. So for our Halloween Party and Parade on Friday, he will be Hulk. 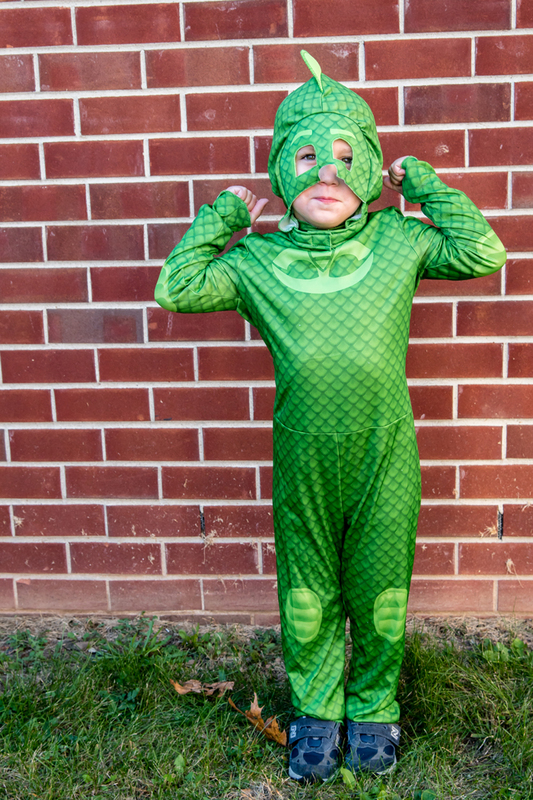 Then on Saturday, when we go Trunk or Treating at his school, he will be Gekko. 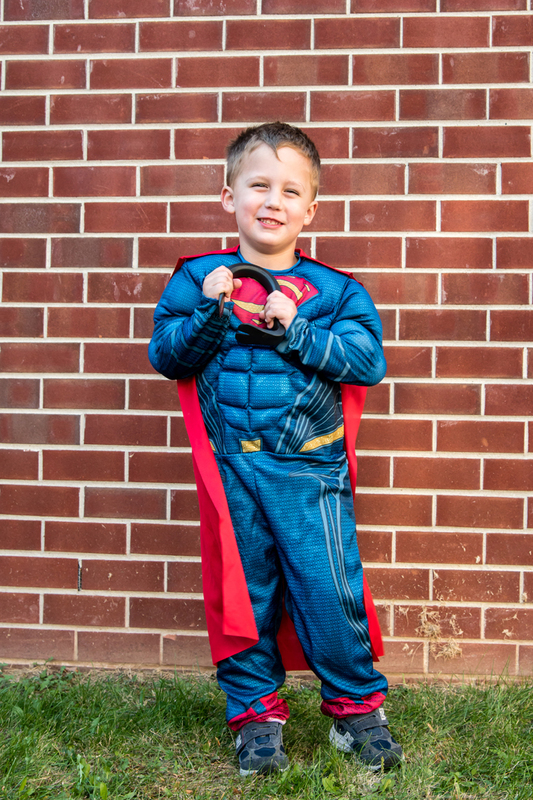 And then on Monday, when we go Trick or Treating with friends, he will be Superman. I loved that he had it all thought out. This officially is the year of multiple costumes! 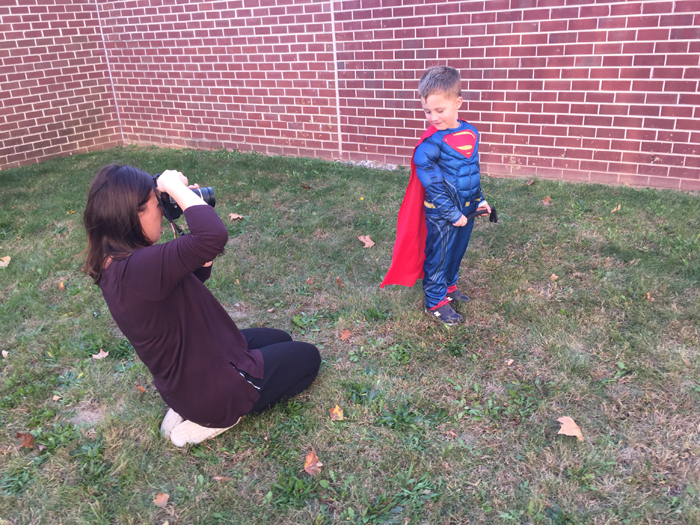 Since Noah is obviously having a superhero themed Halloween, I thought it would be fun to do a little photo shoot on location of all his costumes. Ideally, I thought it would be fitting to go to an alley and pretend that he was fighting crime. But since I wasn't aware of any alleys in our town (which is probably a good thing), I had to get a little creative. 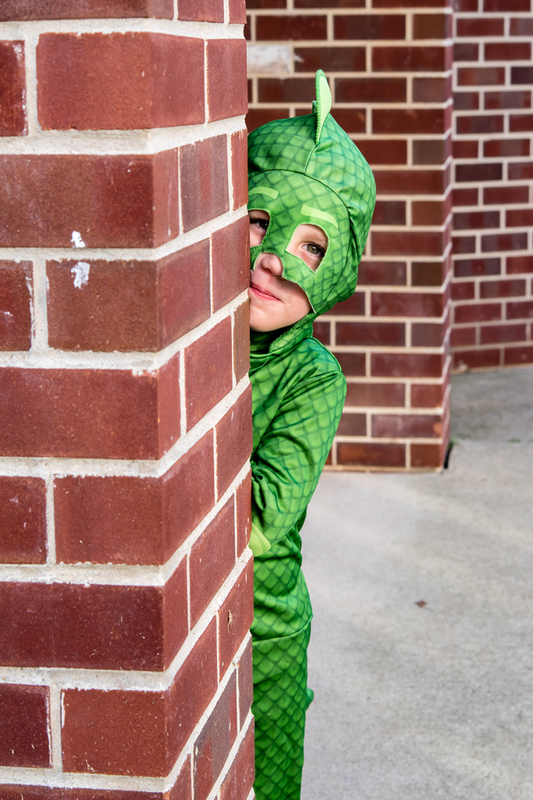 My photographer friend suggested going to a local school and the brick facade turned out to be the perfect background! 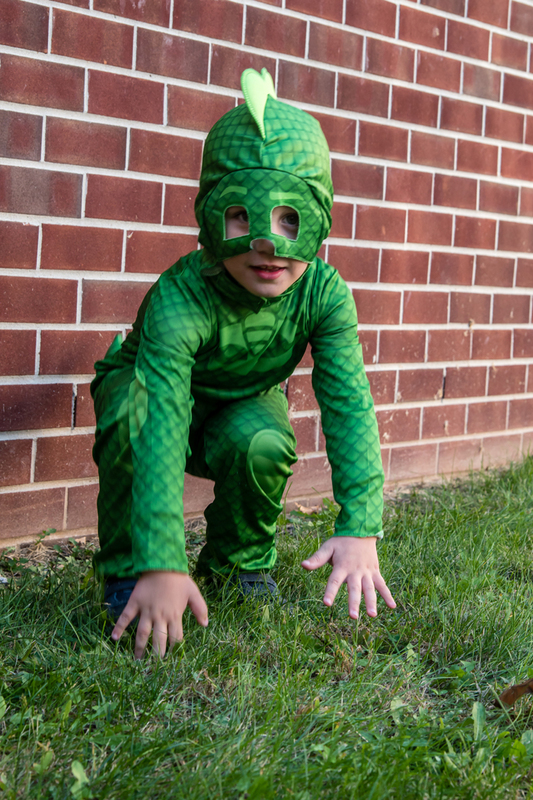 If you ask Noah what his favorite costume out of three is, it would hands down be Gekko from PJ Masks! We had seen this costume online early on but they were always out of stock (even in August/September). We did end up finding it at Kohl's one day, but they didn't have Noah's size. Thankfully, Grandma was then on the case and found one in an actual Party City store! She brought it right over, Noah immediately put it on, and started crawling all over the floor pretending to be Gekko... it was the cutest thing ever! He's worn it multiple times at home since then and loves pretending to be the pajama wearing lizard. So even without Halloween, this costume is totally worth it! One of the things I love about this costume, is that the tail is removable. If you look closely above, you can see how it is attached to his back with velcro. In my opinion, this is genius. It makes it so much easier for him to wear his costume in the car. 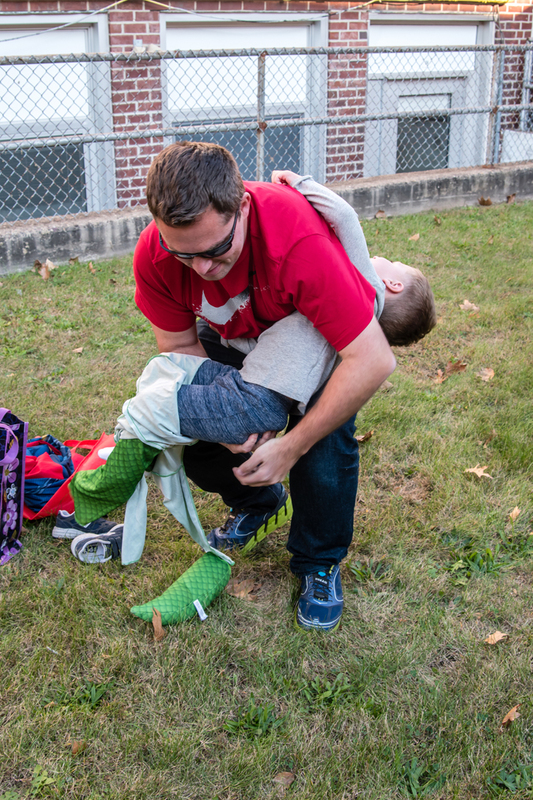 And if your child is allowed to wear costumes to school, this makes it possible for them to easily sit at their desk! Next up... Superman! We were in Costco one day when Noah spotted the costumes. We were with my mom and she offered to buy him a second costume (Hulk being the first). At first Noah wanted to be Iron Man, but then he changed his mind since he doesn't love masks (hence why I'm surprised Noah likes the Gekko costume so much). He then saw Superman and realized he doesn't wear a mask. The fact that it had a prop was an added bonus! Now for the photo shoot. Leave it to Chris to remind me we had to comb his hair so he had a little curl in front. And to point out that at first I had it going the wrong way haha! While taking photos, it got a little windy, which led us to being obsessed with having the wind catch his cape so it looked like he was flying. We never were really successful, but it sure was fun trying! 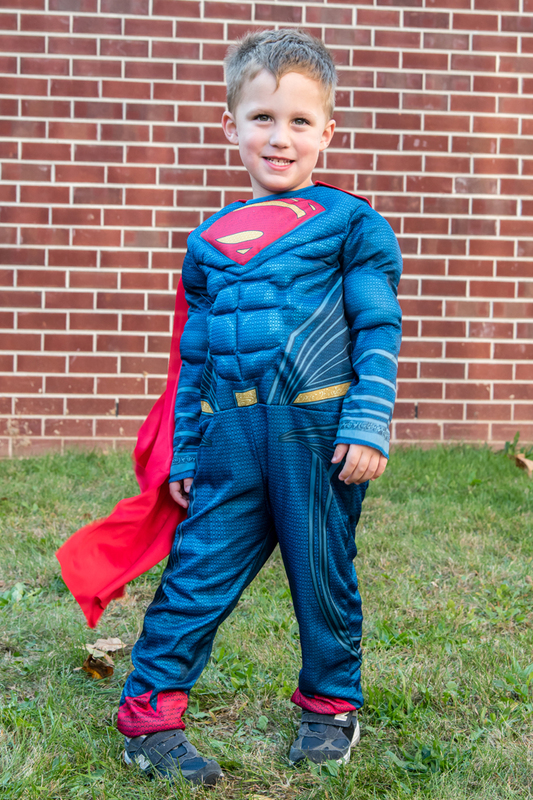 similar Superman costume. Ours is from Costco but not available online. 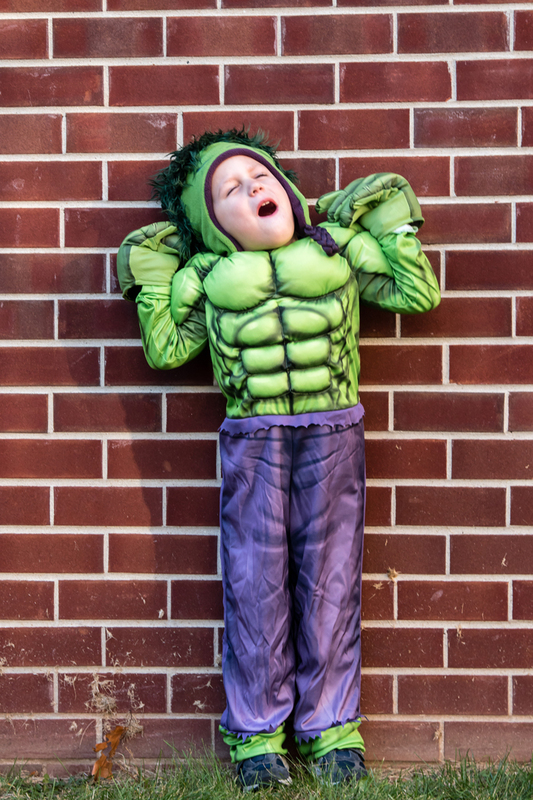 Finally, Noah modeled his Hulk costume. When we went to the store to try it on, we quickly realized that Noah wouldn't want to wear the mask that comes with the costume. So instead, we found this Hulk hat and thought it would work out perfectly. We also got him the extra Hulk hands to complete the outfit. While it is kind of pieced together, I really love how it turned out! Noah being Hulk involves a lot of yelling "Hulk Smash" and banging things. During the photo shoot, he got a little excited and punched the ground a little too hard. We had to remind him to just "pretend" and punch a little softer next time. But my favorite part was when he did this pose all on his own. This reminds me of when Hulk gets angry and actually turns into the green Hulk! And since I always love seeing the behind the scenes, I thought I'd share these photos. Noah did really great posing for all these photos. And I was seriously impressed with how cooperative he was with three costume changes! While all of his costumes just go over his clothes, the tricky part was taking off his shoes each time. He didn't want to touch the grass with his socks and it took us longer than it should have to use our reusable shopping bags (that we brought the costumes in) as a temporary place to stand. Much easier than one of us holding him up the whole time! Now it's your turn! 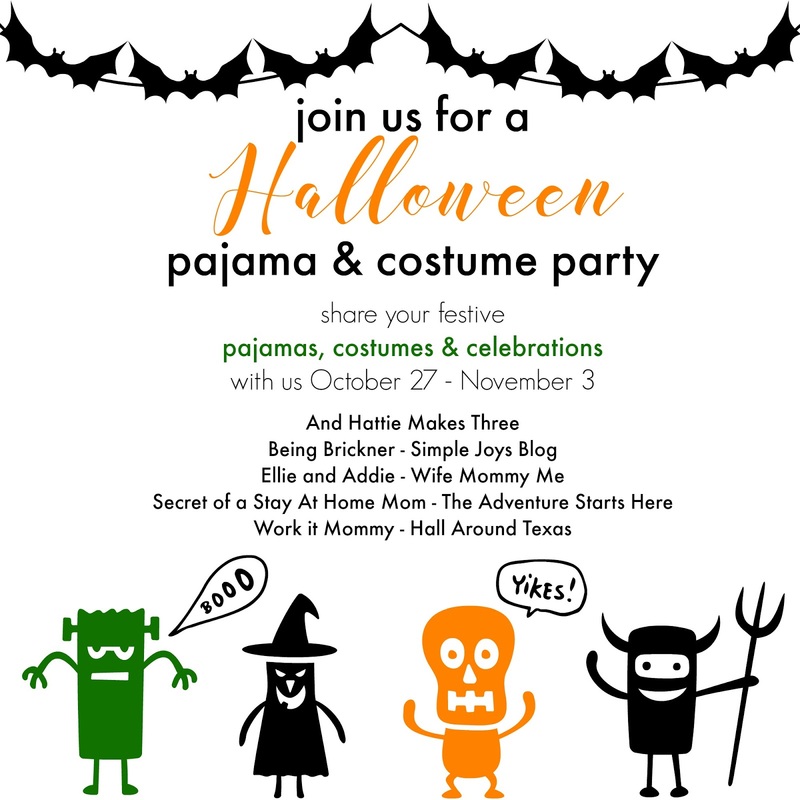 We'd love for you to link up your Halloween pajama and costume themed posts. If you don't have a blog, no worries, just tag your social media photos with #costumepty16 so we can see, like, and comment! 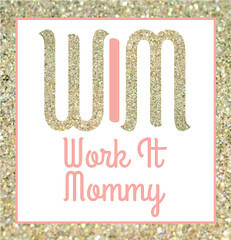 And don't forget to head on over to my lovely co-hosts blogs to see their cute kids in their Halloween garb! 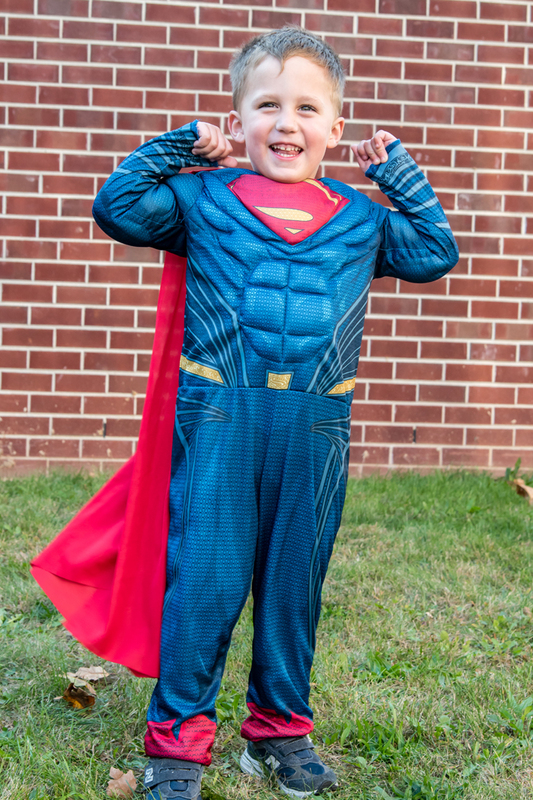 While I shared Noah's costumes today, make sure to come back tomorrow when I'm sharing his Halloween pajamas! 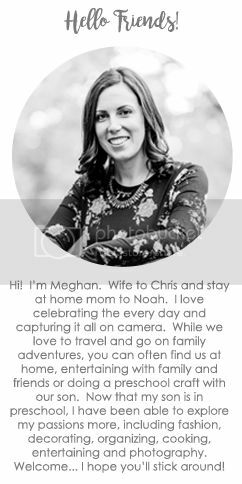 So excited about this link-up!! 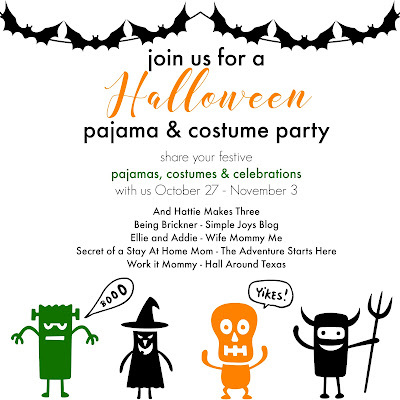 Kids in costumes and festive jammies is the best! I love Noah's Gekko costume. It's adorable and yay for wearing the mask. Cam loves PJ Masks, so I think If I'd shown him the costumes he would have gone with that. Love his costumes and the pictures! I have been waiting for this post! We’ve never seen PJ Masks, but now I want to. The Gekko costume is awesome and I am so glad you guys found it. It’s adorable that he acted out the part for you! 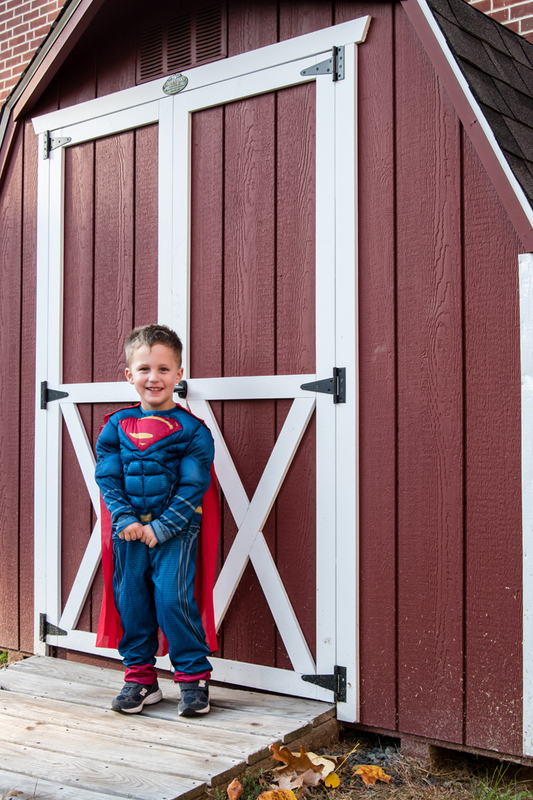 Okay, wait…Superman was born in a shed? How did I not know that?! Chris was totally thinking out every detail of this Superman thing. Go Dad! 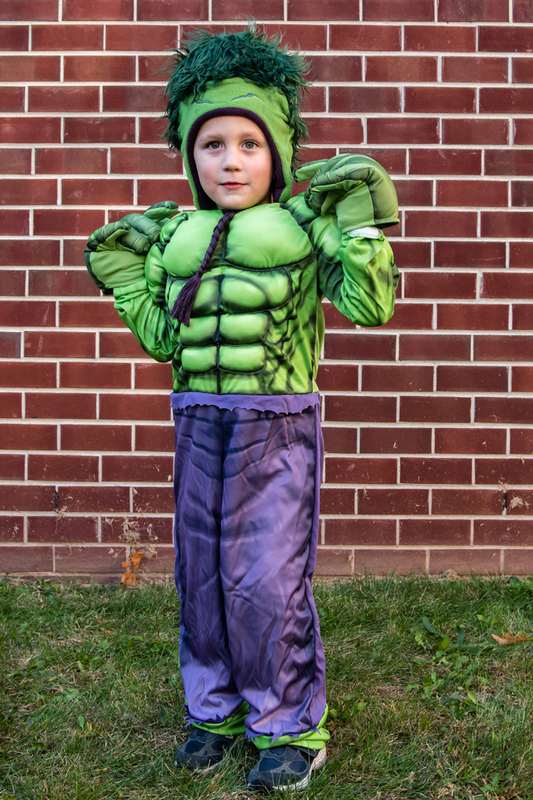 Noah makes the cutest little Hulk! These are all so great, friend! The pictures are pure perfection, as always! I LOVE that he has 3 different costumes. I may throw Ezra in Jude's first costume just for fun this weekend. And I'm sort of dreading the day Jude wants to pick his own costume, but if he gets as excited as Noah I'm sure it will be totally worth it! And BTS pictures are my fave! You should have seen my room set up when snapping our pj pictures, we were a mess! Brian is a Supetman fanatic so let me tell you ALL about him- he was born on Krypton sent to earth on a spaceship, landed on Earth (Smallville, Kansas) and was found by the Kents, who lived on a farm :) I loved the barn shed backdrop! Multiple costumes is wayyy more fun!! That's awesome that you found all three of the costumes that he really wanted! He is such an adorable little model and I bet he is so excited that he gets a different outfit for each activity you go to! OH my cuteness, costume craziness. I love it! Hooray for finding a good brick wall too. He is going to have the best Halloween! Great costumes! 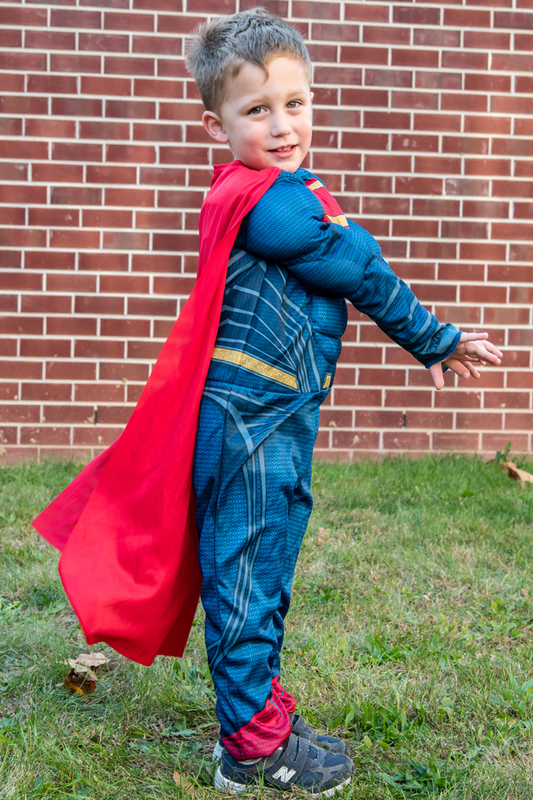 My little guy is going as Superman too. :) Can't wait to link up!